Remember when everyone in Blog Land did Friday Five and you just basically posted a list of 5 random things? I sometimes miss those early easy days of blogging, so I'm bringing it back this week. Today's Friday Five is five questions I have for you. 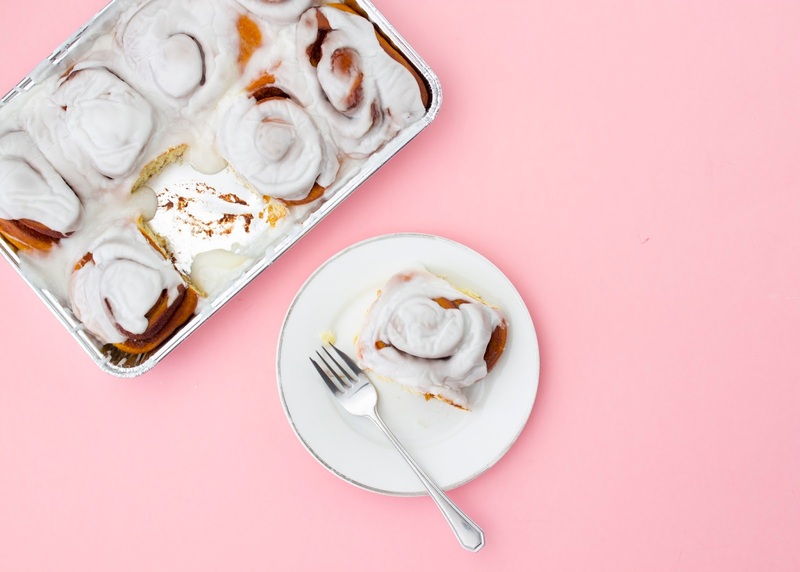 Because what says Friday more than cinnamon rolls!? 1. What's a good winter neutral nail polish? I haven't been keeping my nails painted and I think it's because I haven't found a color I love. All the colors I usually wear (white and pink) seem too much like warm weather colors. What's your current favorite shade? 2. What's a good overnight face moisturizer? Winter in the mountains is not playing around when it comes to drying out your skin. I always lather lotion on my legs and arms before bed but lately I've been thinking I want something on my face too. I have a great day moisturizer I use, but that has an SPF that I'd feel silly putting on before bed. 3. What are you watching on Netflix? I need a new good show to watch. I'm currently rewatching Gilmore Girls but I only have a few more episodes to go until I've finished the series again. My smart tv makes it so easy to watch Netflix in bed and I like to fall asleep while watching something. 4. What's your favorite easy recipe? I've really been enjoying cooking more meals but I've realized I've almost reached my limit on easy I know how to make by heart dishes. While I'm super excited to try some fun recipes from my new cookbook, I need some more easy, minimal ingredient meals I can throw together after working all day. 5. What's your current favorite song? I need some new tunes to make a new playlist to listen to while I'm writing posts or doing housework. All Christmas season I only listened to the Christmas station in the car so I miss out on all the new music from the middle of November until now. What's new that you're loving? Or old and loving again?